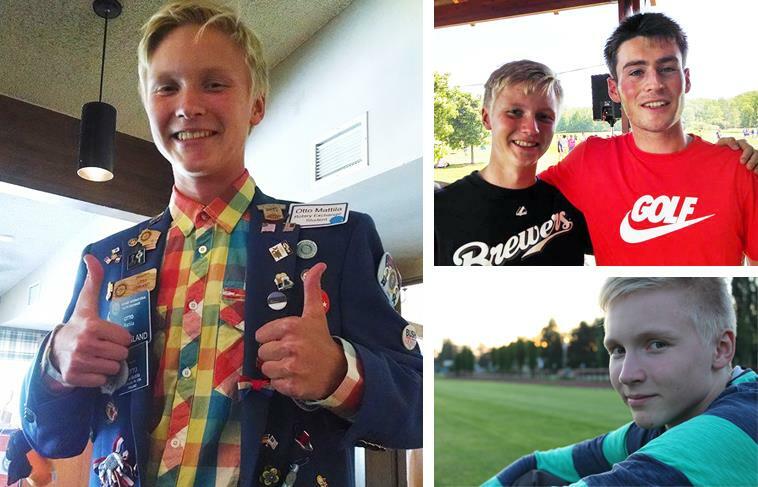 After nine months exploring Brookfield and beyond, Otto Matilla has headed back to home to Finland. Matilla was this year's guest, courtesy of the Rotary Youth Exchange program and Elmbrook Rotary Club. For Matilla, studying abroad had been a desire for years. "I decided that I wanted to study abroad when I was in 5th grade. My sister, who is three years older than me, went to Ohio two years ago," Matilla said. "(The opportunity) came up and I was really excited and now I'm here." Matilla spent the 2013-14 academic year as a senior at Brookfield East High School; however, the year will not count for his education back in Finland, and he will still have a year-and-a-half of school remaining upon his return. Despite that, he says that the experience was more than worth it. "I have great friends that I made here. All of the people were so nice and I got to do so much," Matilla said. 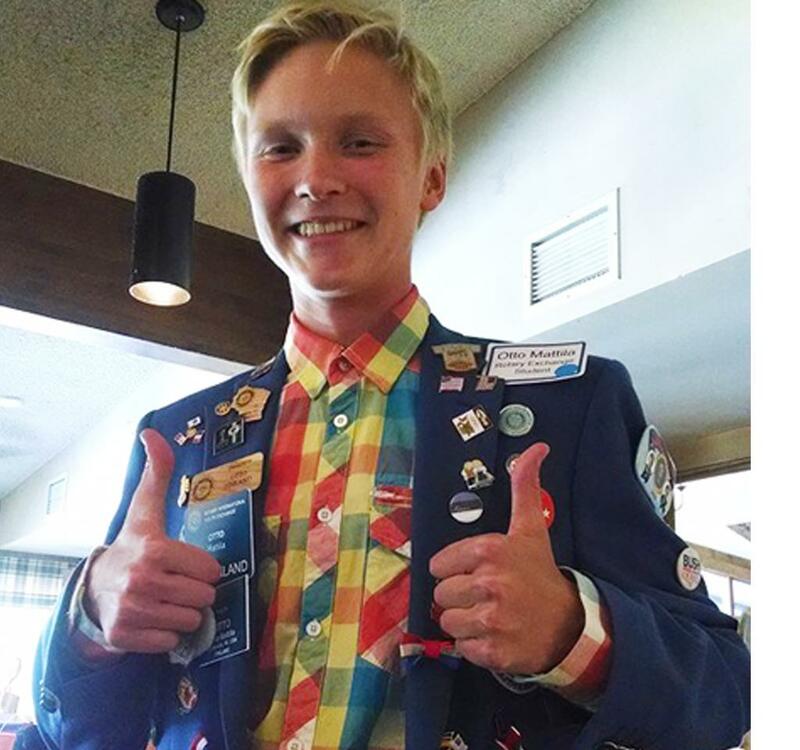 In addition to his time spent in Brookfield, split between three host families, the Rotary Club also sponsored Matilla to join other exchange students in the area on trips around the country. Among the highlights, Matilla said, were trips to Las Vegas, the Grand Canyon, and New York City. Matilla was selected for the program by a Rotary Club in Finland. The Rotary Youth Exchange program uses an in-depth selection system to choose its students. "It's a pretty rigorous screening program to make sure they have the maturity to hande something like this and to make sure they'll represent their family, country, and state well," Elmbrook Rotary Club Youth Exchange officer Bill Petterson said. "In Otto's case, his sponsoring club was in Finland. They said he was good for the program and he was placed here." Petterson notes that not all rotary clubs have the resources or personnel to participate in the exchange program. One of the hardest parts of making the program possible is finding host families. "We try to just use networking and spread the word. The way we found our host families for Otto was, we went back to past host families and asked them if they knew anybody," Petterson said. "One thing I'm really proud of is that we really make sure our students are taken care of." Matilla would be the first to agree with Petterson after his experience with the program. "Elmbrook Rotary Club is probably the best club in the world. They've been very nice since my first day, they took me to lots of different places," Matilla said. "I will never forget the club, the city, and my friends." Matilla plans to return home and finish school before enlisting in the Air Force. He dreams of being a pilot. While Matilla has made plenty of friends in Brookfield, he has also formed bonds with other exchange students from around the world. These types of bonds, Petterson noted, are one of the biggest goals for the Rotary Youth Exchange program. "Exchange students from South America, Europe, and the Far East can all build worldwide, international friendships. Education is a high priority for Rotary International, as is developing youth and international peace, so this one program accomplishes all three," Petterson said. The school district alternates every year between sponsoring a student to study abroad and taking on the responsibility of hosting an incoming student. For more information on getting involved with the Elmbrook Rotary Club's exchange program, go to www.elmbrookrotary.org.